Those into mobile photography who like to snap photos and share them with friends, family members or significant others who are Facebook or Twitter users could be interested in Instagram, an online photo-sharing service company that was founded in 2010 and was acquired by Facebook for approximately $1 billion in cash and stock in 2012. This so happens to be Facebook’s biggest purchase to date of a talented small, young company that was created by Kevin Systrom and Mike Krieger—the two co-founders of Instagram. Mark Zuckerberg, the chairman and chief executive of Facebook, saw this acquisition as a good deal and an opportunity for Facebook to come together and further expand its already massive user base and spread growth of the Instagram app to even more people around the world via Facebook. Zuckerberg considered it also an important milestone for Facebook as well as an opportunity to compete with, if not overtake, other photo sharing apps and services that had rapidly gained popularity, like Yahoo!’s Flickr. Instagrammers can get this free, fun app to share their mobile photos at Google play; this is, of course, for those who own on an Android camera phone running 2.2 Froyo or at Apple’s iTunes AppStore for those who own an iPhone, iPod Touch, or iPad. Unfortunately, Instagram has no current plans to offer Windows Phone support, but that may all soon change as Nokia has hinted on Twitter in reply to concerns of several displeased users about bringing Instagram to Windows Phone handsets, such as for the Lumia smartphone family. Waiting to have the Instagram app on one of its Lumia Windows phones, for now, Nokia has come out with a companion app. The app is called #2Instawithlove, a native version of Instagram. The #2InstaWithLove app has been specifically designed to put pressure on the release of Instagram in the near future on Windows phones. It also shows how passionate the Windows Phone community is about Instagram from voiced users who spoke out on Twitter. Nokia claims that its social app for its Lumia mobile device has many of the same features that Instagram does, which include the ability to take square-shaped photos and use a combination of filters and a border to resemble a Polaroid snapshot. There is no telling what may come of Nokia’s pressure to have an Instagram app for Windows phones or if Facebook will ever understand the importance of Instagram on this platform. 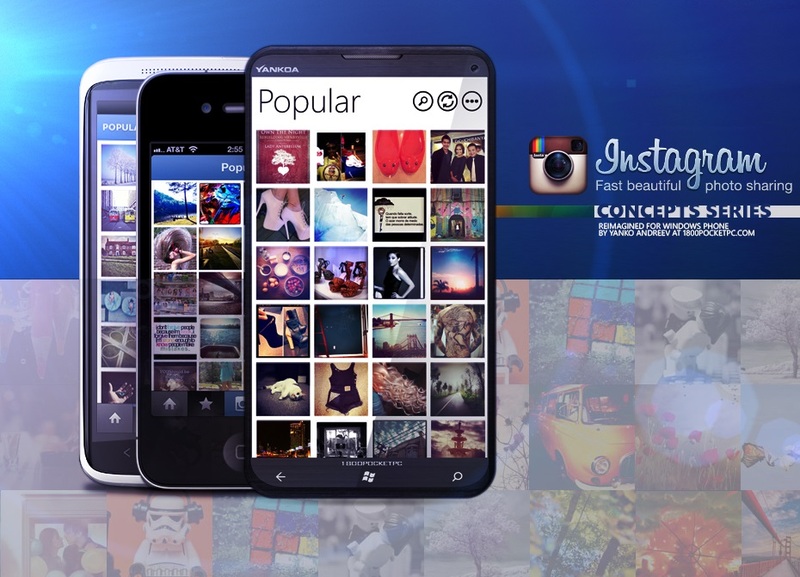 Nevertheless, Microsoft has taken matters into their own hands and are, at the present time, building an Instagram application for the Windows Phone.